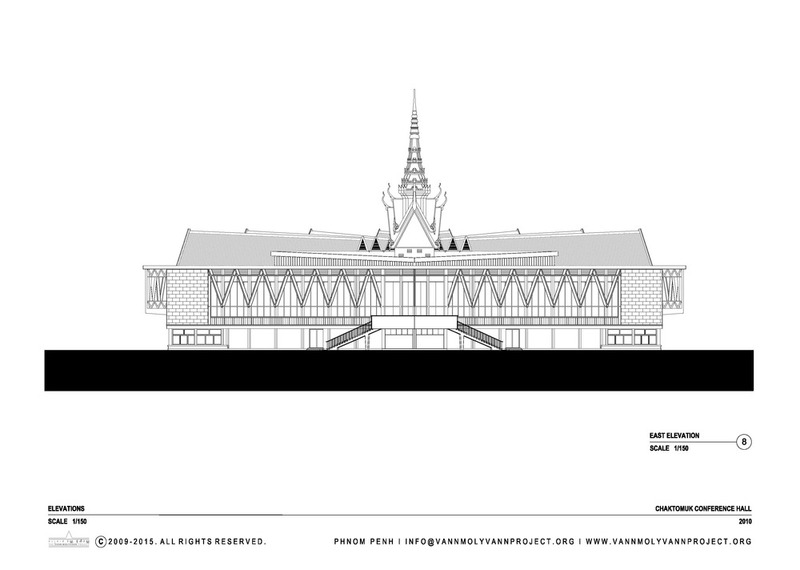 Vann Molyvann considers the design of Chaktomuk Conference Hall a reinterpretation of the roofs of the nearby Royal Palace. The eight gabled roofs, fanned out across Chaktomuk’s quarter-circle plan, borrow the traditional gables seen in its architecture. 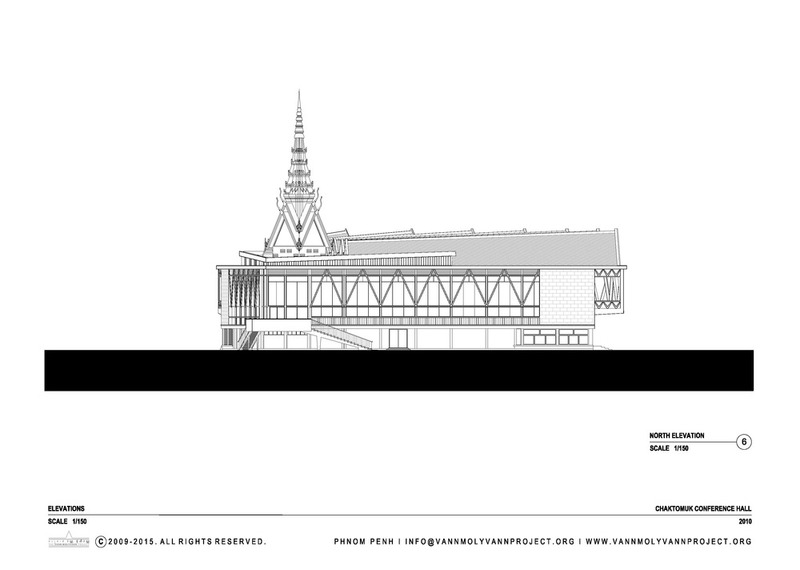 Chaktomuk’s three façades—one street-facing, two river-facing—combines these traditional building elements with a modern structural system. Towards the street, the lifted first floor presents thick concrete trusses, carrying the traditional roof gables and their shape through to the first floor slab. 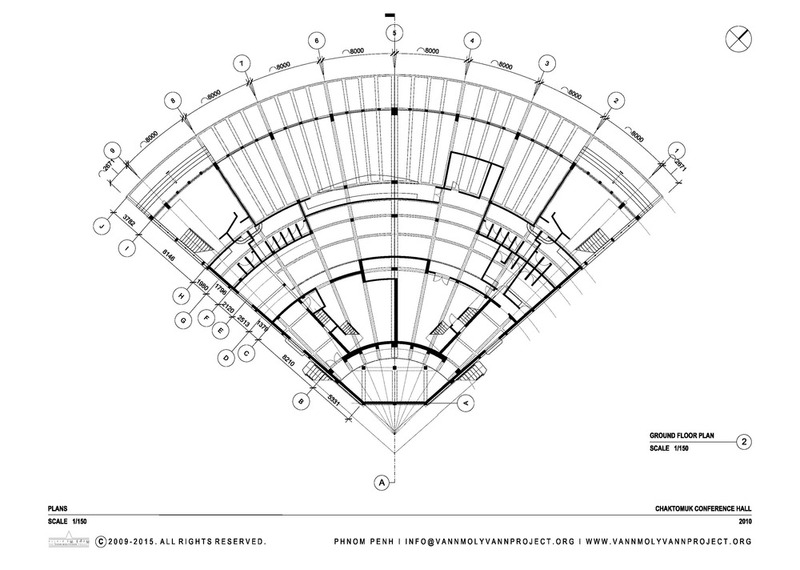 The resulting V-shaped truss is repeated throughout the building in other supports as well as cornices and guardrails. Light striking these details creates playful shadows on the broad, curved veranda of the first floor. From the river, one sees a latticework of concrete and glass rise out towards the city. A traditional spire atop the corner of the rear-facing façades speaks to the other rooftops in the area. 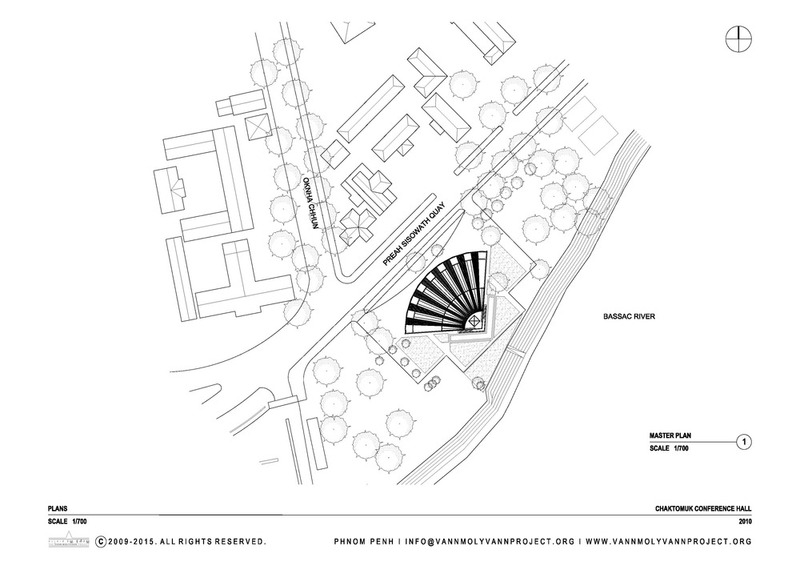 From within, the building offers 270-degree views onto the crossing of the four rivers. 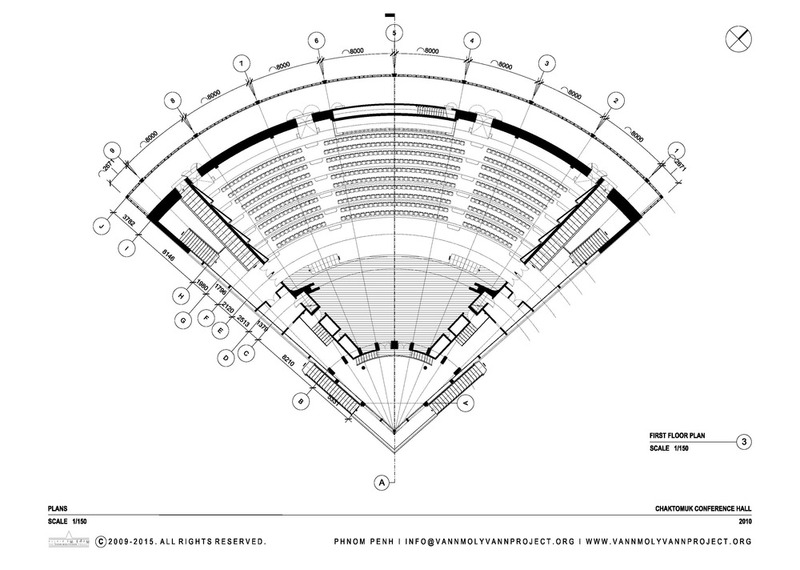 The fan shape references a palm leaf and affords ample seating within the conference hall itself with good views of its stage, as well as the long, open-air veranda towards the street. Chaktomuk first hosted the Sixth Conference of the World Fellowship of Buddhists in 1961. The Conference Hall has since seen service for various conferences and a broad range of performances. It was renovated in 2000 with some alterations.